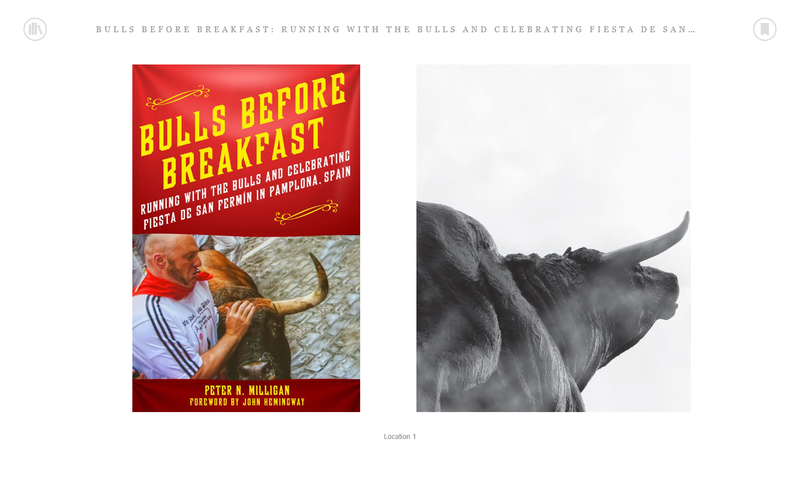 It’s not often we recommend a book other than the e-Guide Fiesta: How To Survive The Bulls Of Pamplona, but our friend Peter Milligan’s book Bulls Before Breakfast is proving to be a cracking read – witty, well-researched and well-written. 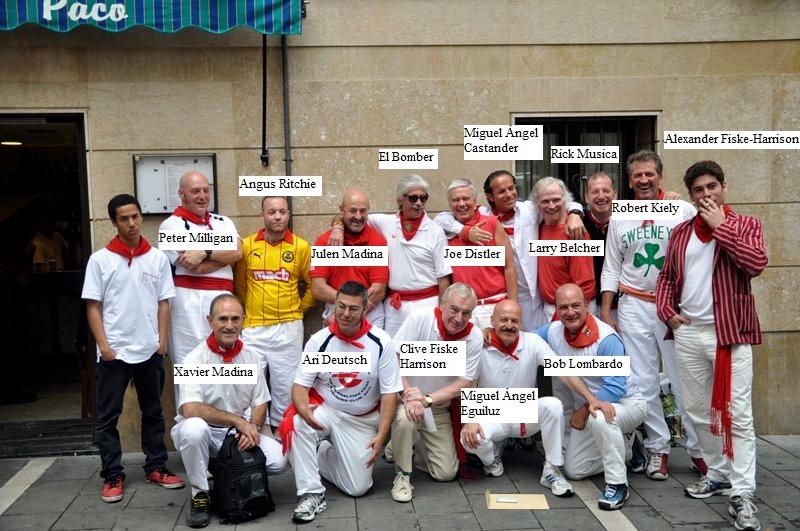 It was also nice to see the authorial staff of Fiesta getting their nods, from John Hemingway – Ernest’s grandson – who wrote the foreword, to the following description of the annual, end of feria runners’ breakfast at Casa Paco with Joe Distler, Jim Hollander and Alexander Fiske-Harrison. 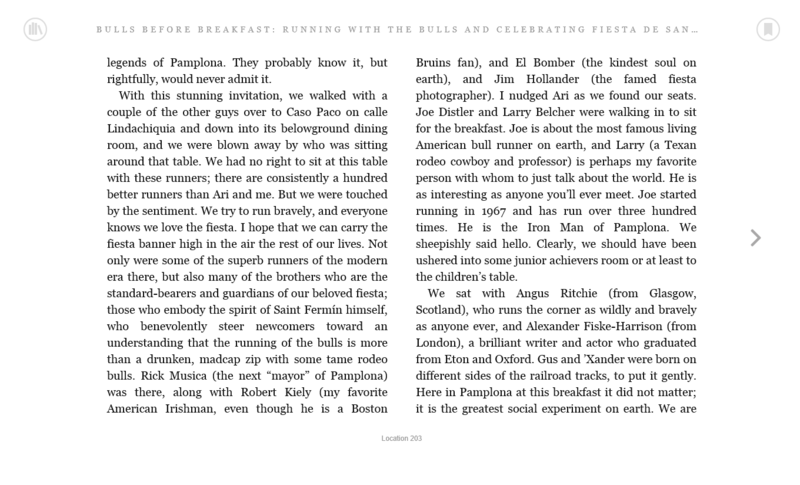 We enclose the screenshot from the Kindle edition. 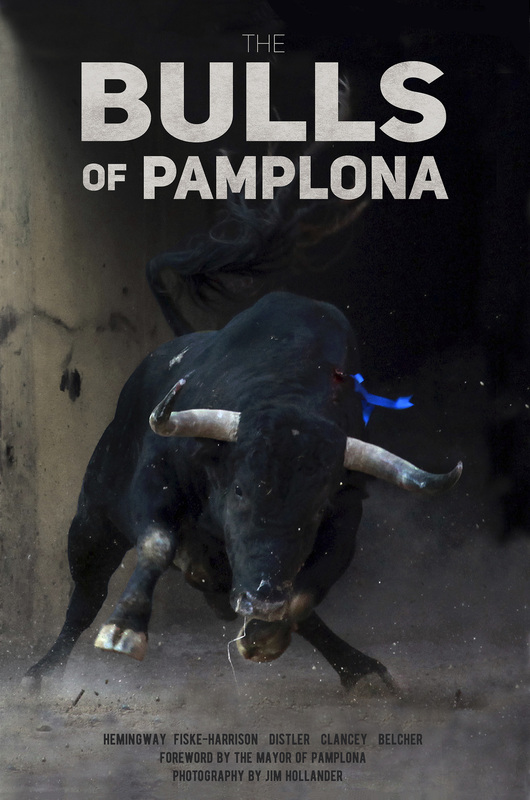 Given it’s published by St. Martin’s Press, the “mainstream and bestseller” imprint of Macmillan, and that it’s already been in the New York Post, we feel sure it will do well. P.S. Ari Deutsch is Milligan’s brother. 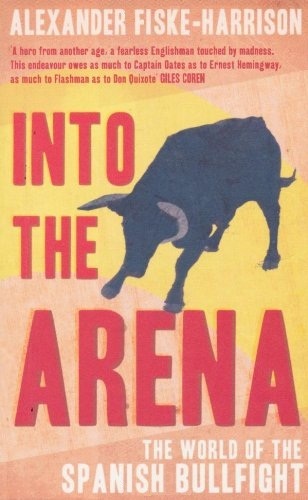 This entry was posted in Uncategorized and tagged alexander, ari deutsch, bull-run, bull-runner, bull-running, bullrun, bullrunner, bullrunning, bulls, bulls before breakfast, encierro, ernest hemingway, feria, fiesta, fiske-harrison, hemingway, how to survive the bulls, Jim Hollander, joe distler, john hemingway, Julen Madina, larry belcher, miguel angel castander, Miguel Angel Eguiluz, pamplona, Peter Milligan, san fermin, sanfermin, sanferminero, sanfermines, toros, toros bravo, toros bravos, xander. Bookmark the permalink.